BCR’s inaugural Supply Chain Finance Forum in London focuses on the industry’s emerging evolutionary trends and in particular the move towards targeting the largely untapped mid-cap buyers market. The forum will showcase innovations within supply chain finance for the mid-market, new arbitrage opportunities this market can provide, and review developing markets such as Asia and other high-interest rate regions. 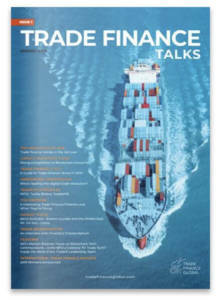 What is Supply Chain Finance Forum about? Supply Chain Finance (also known as SCF or supplier finance), is a cash flow solution which helps businesses free up working capital trapped in global supply chains. It is a solution designed to benefit both suppliers and buyers; suppliers get paid early and buyers can extend their payment terms. This solution allows businesses which import goods to unlock working capital as well as reduce the risk associated with buying goods in bulk and/or transporting them globally (read more about risks of supply chain finance here). Find out more here.